Sandtrap Tavern will have live music throughout the 2017 season! Check back as we fill up our entertainment line-up. As always, Happy Hour EVERY Friday starting at 3pm with Chef’s Choice Dinner Specials, posted on our Facebook Page. 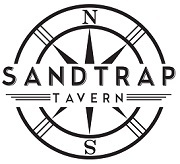 Enjoy the sounds of Ali & The Katz, every Thursday night at Sandtrap Tavern. Drink and dinner specials, dine inside our out on our porch!